Sri Lanka’s ruling party national list MP A H M Azwar attended the CHOGM official days briefing press conference as a journalist and attacked channel 4 and foreign media today. 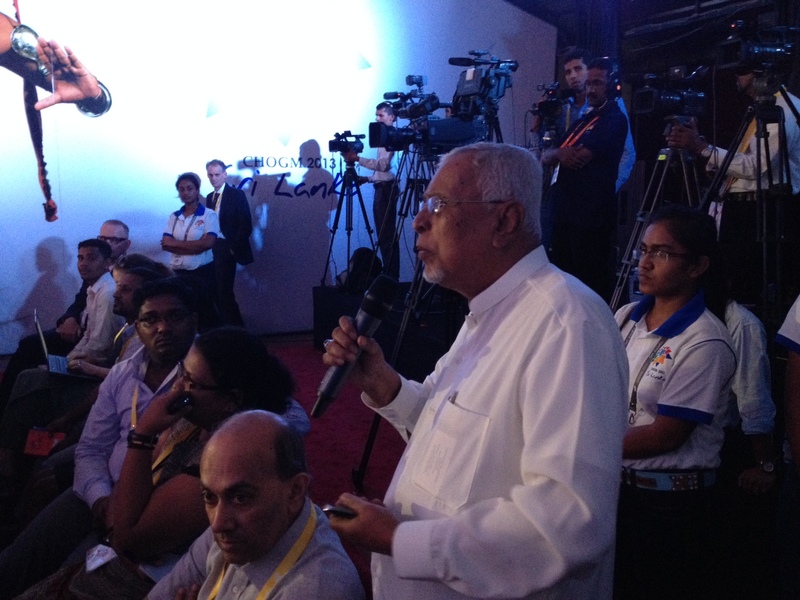 Though he introduced himself as a citizen of Sri Lanka many journalist questioned how a government MP participated and asked questions while sitting with journalists. Commonwealth Spokesman Richard Uku asked him to speak in a civilized manner. A Review Of ‘Disposable Leaders’: Implications For Democracy?